We are located at Level 1 Marina Square. 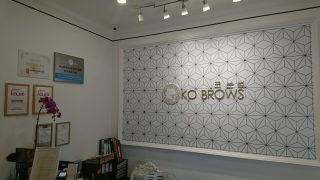 KO BROWS offers Individual Treatment Rooms, Consultation Room and Waiting Area. Visit us today! Click here if you wish to make a booking within the next 24hrs. Kindly state the necessary service(s) in the message box below. Thank you! Kindly take note that our Opening hours starts at 11am. Thank you! 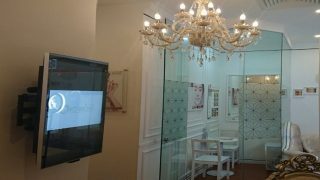 *Skincare Appointments Strictly by Appointments Only. City Hall MRT Station (NS25 / EW13), and walk through CityLink Mall to reach Marina Square (turn right and get on the escalator when you see the directional signage indicating Marina Square). Esplanade MRT Station (CC3), and access Marina Square via our basement integrated walkway – Marina Link which is located just next to Esplanade MRT Station. Promenade MRT Station (CC4 / DT15) and walk through Millenia Walk to reach Marina Square (exit from Millenia Walk’s entrance facing Raffles Boulevard and get on the escalator to Level 2). Bus-stops are located along Raffles Avenue, in-front of Esplanade – Theatres on the Bay and Temasek Boulevard, in front of Singapore International Convention and Exhibition Centre. The taxi stand is located near 7-Eleven (#01-209) at Level 1 along Raffles Boulevard. The passenger pick-up and drop-off point is located near Carl’s Jr. (#01-202) at Level 1 along Raffles Boulevard. Simply spend a minimum of $50* and redeem complimentary parking for the first 3 hours. Limited to the first 100 redemptions per day.